Vitality Necklace with 6 and 10 mm. Hematite magnetic Stones and 8 mm Rose Quartz. 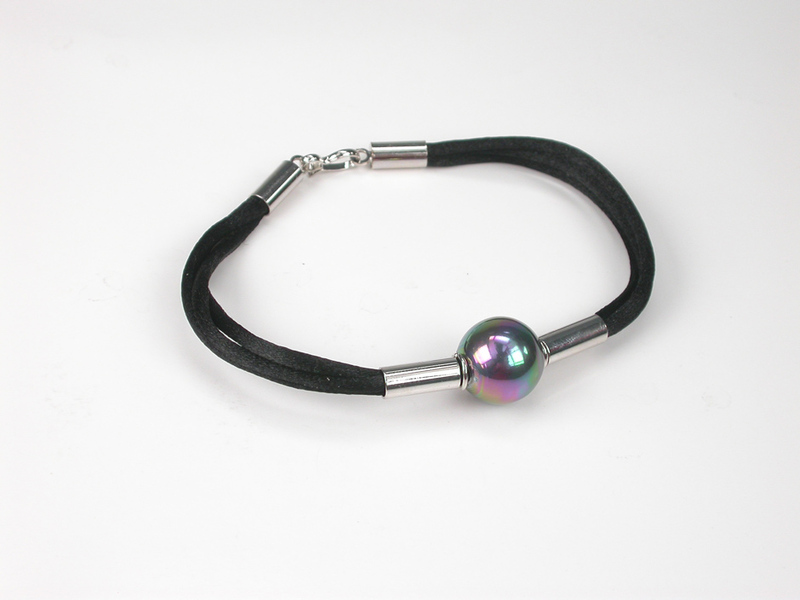 The length is adjustable from 40 to 42 cm. 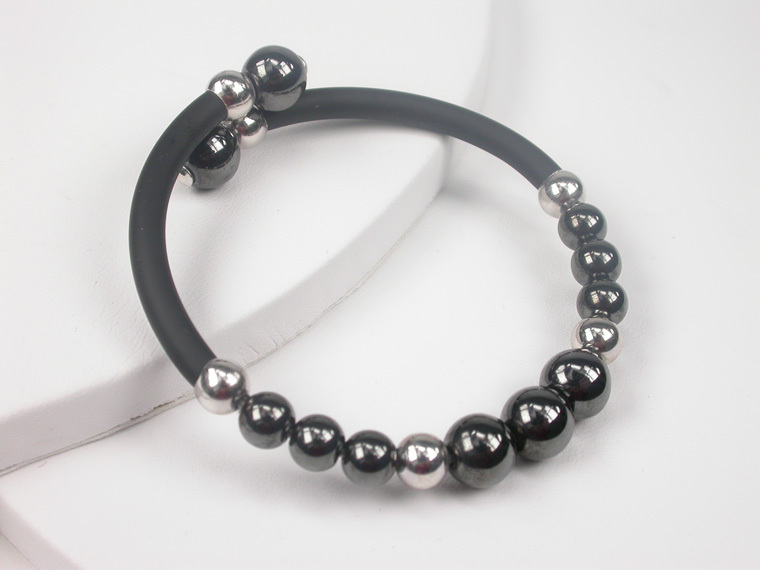 Trendy Rubber Bracelet with 6 and 10 mm. 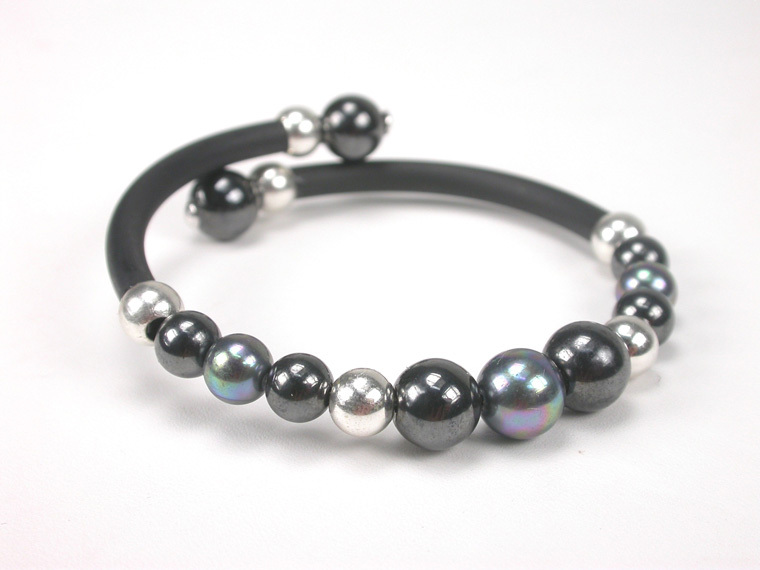 Black Pearls, Hematite Stones and elements in Sterling Silver, that fits to all sizes. For Him or for Her! 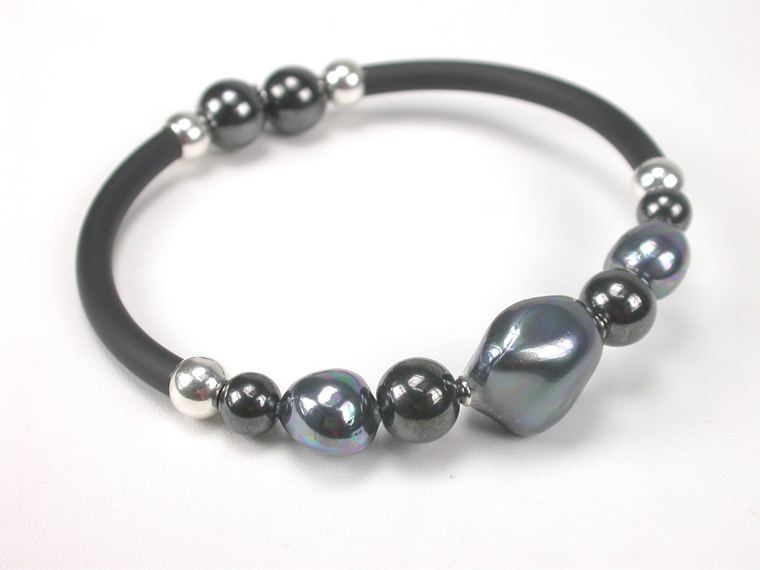 Trendy Rubber Bracelet with Black Mother of Pearls, Hematite Stones and elements in Sterling Silver, that fits to all sizes. For Him or for Her! 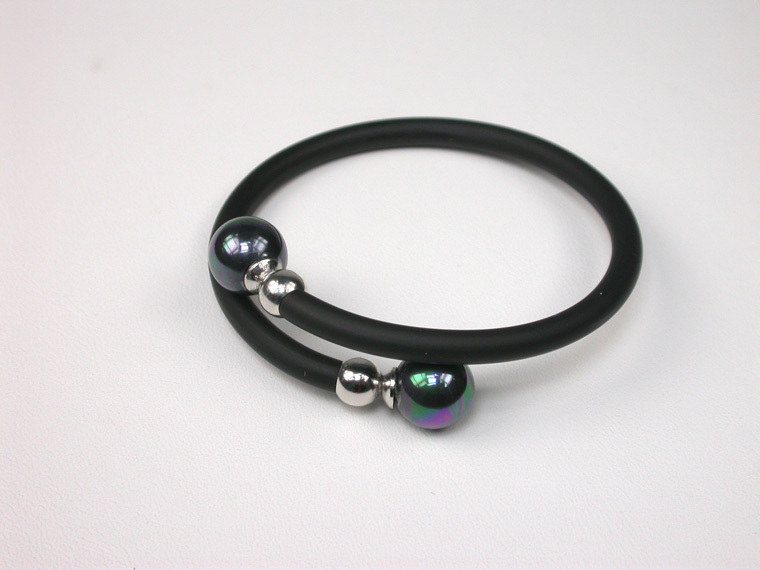 Vitality Bracelet with 6 and 8 mm. 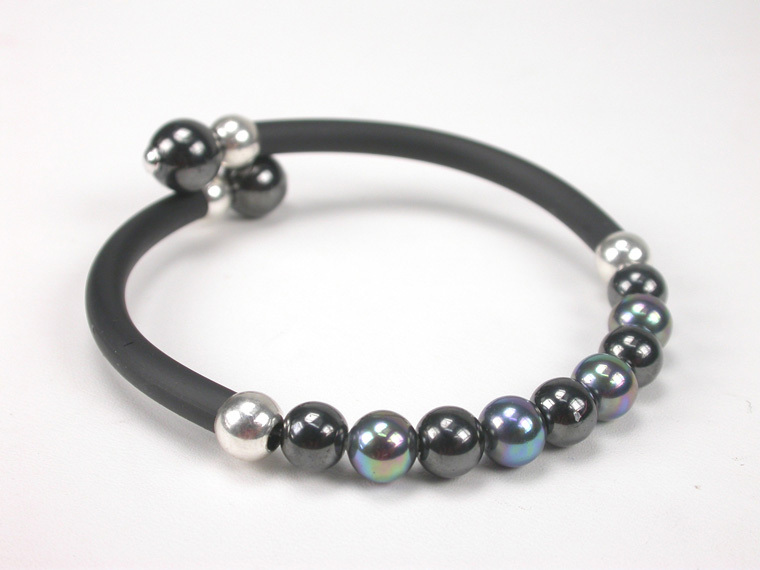 magnetic Hematite Stones and Sterling Silver elements, adaptable to fit all sizes! 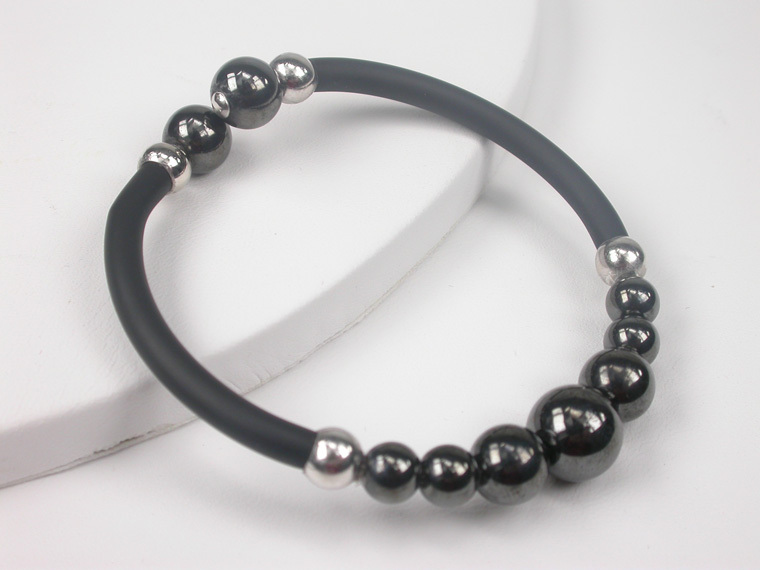 Vitality Bracelet with 6 and 8 mm. 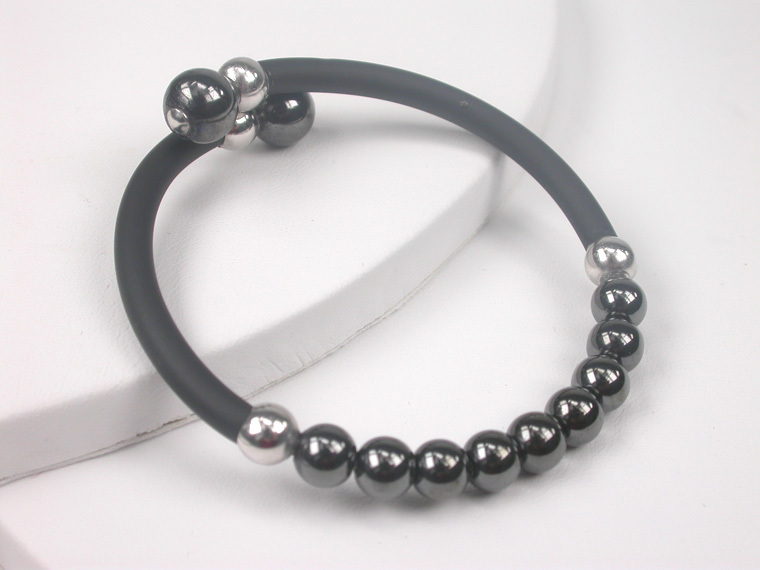 magnetic Hematite Stones and Sterling Silver elements, adaptable to fit all sizes. 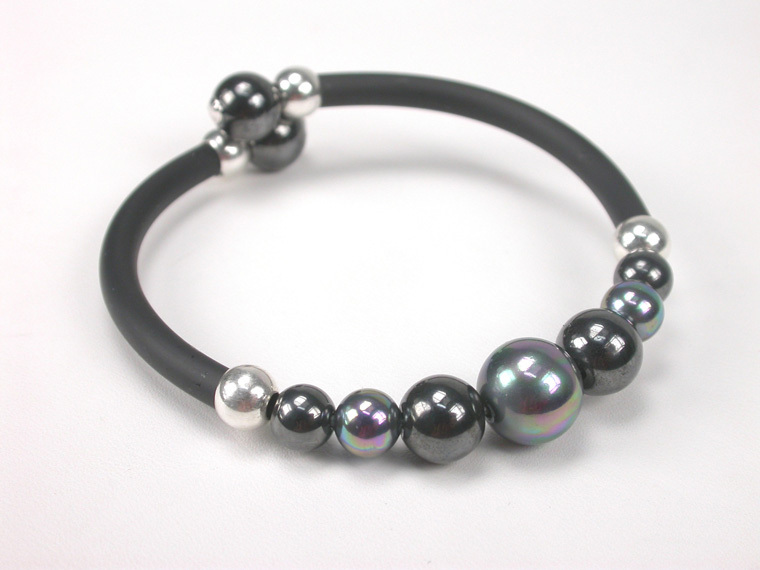 Vitality Rubber Bracelet with 6 and 8 mm Hematite Stones, faceted Rose Quartz and Sterling Silver beads. Adaptable to fit all sizes!